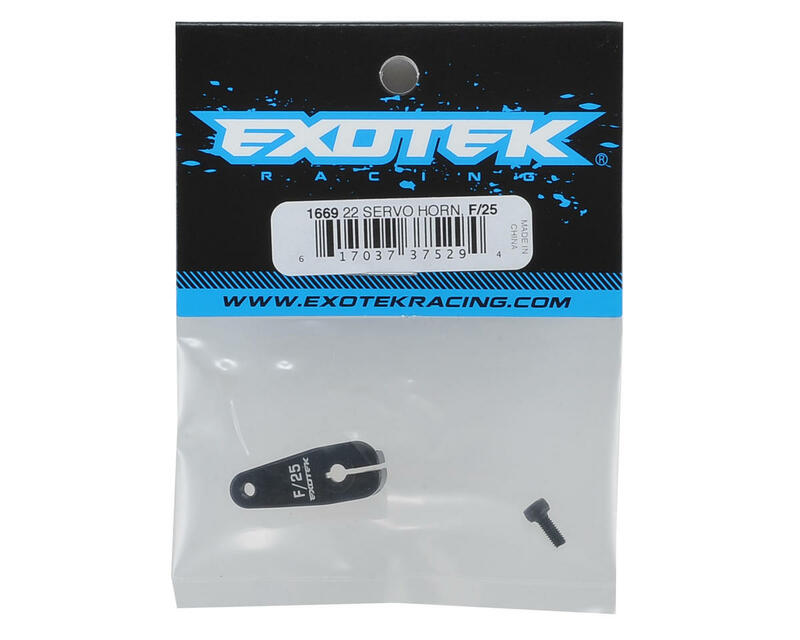 This is an optional Exotek Aluminum HD Clamping Servo Horn for use with the Team Losi Racing 22 series of 1/10 vehicles. It's time to upgrade that servo horn with the Exotek heavy duty 7075 alloy clamping servo horn! This is the only clamping unit that matches the dimensions of the stock servo horn so now you have perfect fit and geometry for robust steering and performance in your 22 series vehicles. With the clamping design you will maintain exact servo alignment, even better than alloy non clamping servo horns. Perfect replacement for all TLR 22 series 1/10 vehicles. Polished and anodized in factory black and laser etched for easy reference. Uses the stock TLR 4/40 ball end. 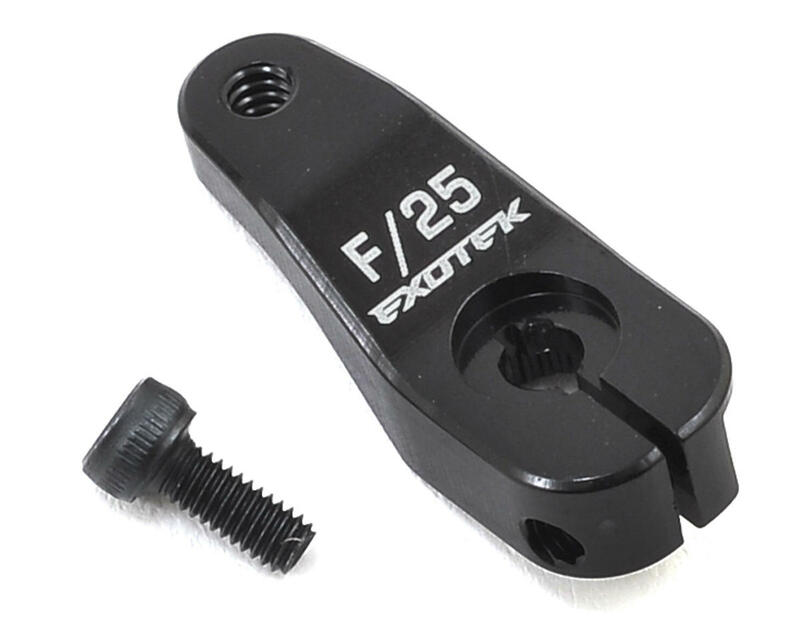 For Futaba/Savox/ProTek and all other 25 spline servos. NOTE: not for use in the Exotek EXO22/T/SC chassis as the v1 bolt on nose plate will interefere.